If you are putting things like a suitcase, dressers or coolers into storage then make sure you fill them up with other items that your putting in there. Anytime you can eliminate a box or two you’ll be ahead of the game. It might also make sense to buy a cheap garbage can for storage of things like garden tools or other things that can’t fit into a box. You can make more space by breaking down your furniture. Legs can be removed from tables and chairs. Whatever type of furniture you are storing you want to wrap up either in industrial plastic wrap or with moving blankets. The heavy boxes should be on the bottom and you should over stack in the event it might topple over during an earthquake. It helps if you can create spaces between your stacks of boxes so that you can have access from the front to the back of the storage unit. Popular reality show Storage Wars will often involve bidders finding valuable treasures inside abandon storage units. You definitely don’t want that to happen with your stuff. That is why you should keep an inventory list with carefully numbered boxes. 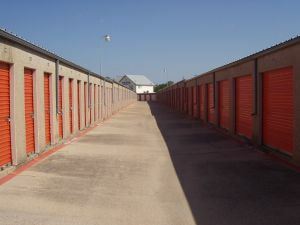 If you need to go into your storage unit to pull something out, then you will know exactly where to find it. A storage unit is not the place to put your wine collection. Anything that could get ruined by the elements should not be put into a storage unit. That also holds true for hazardous materials like propane tanks, solvents and paints. This entry was posted in Chico Junk Hauling, Chico Junk Removal and tagged clutter, Junk King Chico, junk removal, storage unit on July 24, 2017 by Junk King. Last updated July 24, 2017 .